Brides consistently ask what they can do to ensure their wedding photographs in a way that is true to who they are as a couple, while maintaining a cohesive, beautiful look throughout their entire photography collection—like the weddings we see in magazines. These are my top 10 simple tips to help you enrich your wedding photographs by helping to create the styled look you love. There are many details that represent who you are as a couple. Be sure to bring your special heirlooms and mementos, even if you don’t plan to wear them down the aisle. Your grandmother’s brooch, perfume, handwritten notes or vows, wedding stationery, handkerchiefs and other mementos can enrich your collection of photographs. Bonus Tip: Clean your engagement ring with a toothbrush and some paste, and allow it to air dry to make it sparkle. Hand-dyed silk ribbon adds texture, movement and romance to photographs. Spools of ribbon are useful when photographing your meaningful objects early in the day. And later, lightweight, silk ribbon drapes beautifully when tied around your bouquet, adding movement and texture to your wedding photographs. It's worth purchasing an extra roll from your florist for us in photography, and is a great way to tie up mementos after your day. For photographing your jewelry or family heirlooms, vintage ring boxes can be found on Etsy and in antique stores. 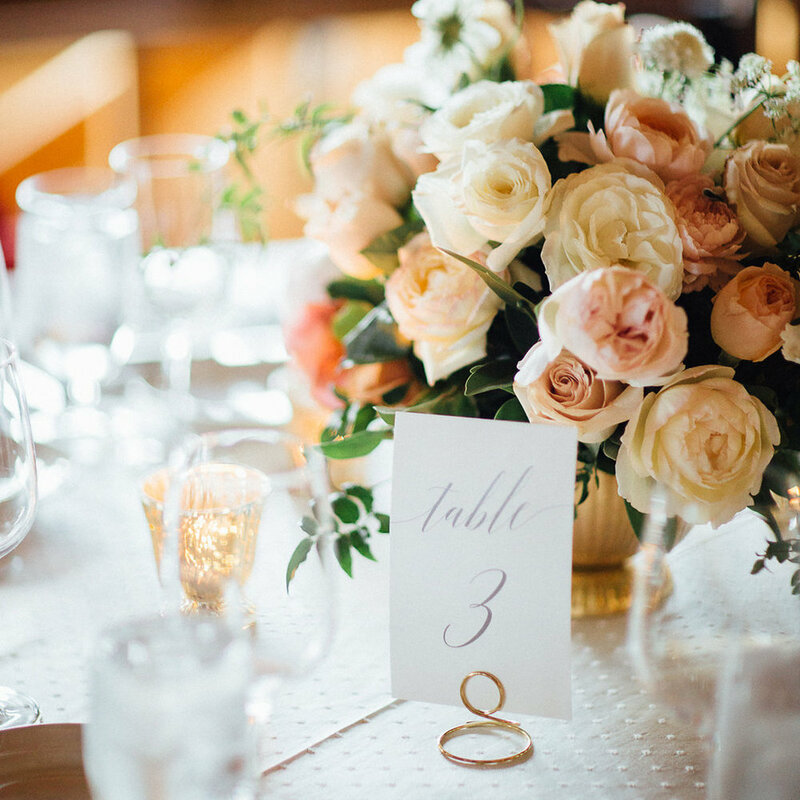 If you want to incorporate your wedding colors, consider The Mrs. Box heirloom velvet boxes. Ribbon, tulle, silk or foliage from the outdoor surroundings can work well too. Bonus Tip: If you are working with a stylist/planner, enlist their help with gathering accessories for your wedding day. Many planners and stylists have items they are happy to lend you for images of your important details. A bridal suite can easily become strewn with luggage, clothes and water bottles. Consider asking your bridesmaids to keep belongings organized in a single spot in your getting-ready space to keep the items you don’t want to remember out of your photographs. Workout clothes are comfy, but consider gifting your ladies with robes they can wear during preparations. While they don’t need to match, the cohesive look will contribute greatly to the overall look of your wedding photos. They also make thoughtful bridesmaid gifts. Bonus Tip: Ask your ladies to keep their phones and cameras tucked away for the early part of your day. Your ladies are important to you, and they should be in your photographs, not behind a phone or camera. Consider a pretty hanger for your dress. Hangers for your bridesmaids’ dresses are important as well, because their dresses will likely be photographed alongside yours. They don’t have to be expensive or customized—wooden or padded hangers do the trick. If you have a strapless or especially ornate dress, you may consider renting a seamstress’s dress form. Calligraphy is timeless, and can be illustrative of your unique wedding style. Calligraphy can appear on your invitation suite, dinner menu, framed literary quotes, signature drink signs, guest favors, table and seating cards. Bonus Tip: Custom calligraphy can be a hefty investment. If you are working on a tighter budget, consider a calligraphy-styled font instead (artisan fonts are widely available online.) Or consider custom calligraphy for only a few paper pieces for photography only. Hand-dyed, silk ribbon adds a sense of romance to photographs. Lightweight silk ribbon also drapes beautifully when tied around your bouquet, adding movement and softness. It’s worth asking your florist to order an extra roll for use in photography throughout the day, and for tying up special keepsakes after your wedding. Additionally, most stylists and planners have accessories they are happy to lend you for your detail photographs. Portraits together are some of the most important photographs your photographer will create on your wedding day, so it makes sense to allot time for them during the best possible light of day. Golden hour is around sunset when the sun is low in the sky. The late-day sun will give your portraits a soft, warm glow. This usually falls during the dinner hour—a perfect time to sneak out while your guests enjoy their meal. Bonus Tip: This is when investing in hair and makeup pays off. These portraits occur later in the day, and you want to be sure you are still looking your best. Contact the studio if you need a referral, and meet with her/him for a test run before your wedding day to make sure your makeup stays put. Strings of lights, tea lights, candlelight, chandeliers and wall sconces all add to the inviting ambiance of your wedding, creating a warm glow in the background. I strongly suggest using warm bulbs (not daylight LED bulbs) for all ambient lighting. Professional photography lighting is white-balanced to ensure color-correct skin tones, while ambient light around the room should be warmer. Any bulbs with a cool color temperature create a bright white or blue color that is not warm or inviting. Most importantly, let go and enjoy your wedding day. Happiness and genuine connection—not posing for the camera—will make your favorite photographs.